This time of year can be expensive so knowing where the free Holiday Events around Edmonton can be found is important! Here are some fun activities for the whole family! 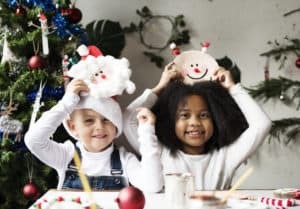 Enjoy a day of exciting holiday activities like cookie decorating, petting zoo, hot chocolate stand, letters to Santa, coloring station and much more. Christmas music, caroling, stilt walkers, cookie decorating and more! Cinderella, Spider Guy, and Snow Queen will also be there along with Santa! Have your picture taken with Santa on a John Deere tractor, build Christmas crafts, enjoy Christmas treats and save 10% on all John Deere toys and clothing! Pictures with Santa by donation to either Santa’s Anonymous or the local Food Bank. Visit Santa at Santa’s Wonderland and get your free 4×6 photo. Every week will also bring a different holiday-themed craft such as Santa felt bag, Santa stocking or cookie decorating. Enjoy a pancake breakfast from 10:30-11:30 with a donation to Kids Kottage plus other activities such as sparkle tattoos, balloon artist, and a visit with Mr & Mrs. Claus as well as Santa’s Elves. The first 200 kids will also receive goodie bags. The event is first come, first serve. Celebrate the season with a fun festive weekend including community group events, free family festival featuring crafts, photos with Santa and entertainment followed by the Town Christmas parade, Lite up the St. Jean Baptiste Park and fireworks. Visit with Santa and his elves, enjoy live classic Christmas movies, horse-drawn wagon rides, petting zoo, decorate cookies, warm up while watching the fire dancer, and more. If you are looking for a fun activity to do with the family, we’ve got a great workshop for kids that will teach them about building. Kids can learn how to build their very own gingerbread Man Ornament. You must register for this event. Watch Santa aboard his magical sleigh along with many other friends on their holiday inspired floats! Don’t forget your letter to Santa, his elves will be collecting them during the parade! Watch preparade fire dancers starting at 11:10 am then watch for Santa as well as other holiday-themed floats in this years Santas Parade of Lights. The first 200 people get a free gift and a 5×7 photo with Santa. While you’re there check out the free holiday workshops which include crafts, face painting, balloons, and hot chocolate! Join the first annual Winter Whyte Light Up! The Old Strathcona Business Association is lighting up McIntyre Park. There will be tons of fun activities lights, shop at the Farmers’ Market, take a picture with Santa, or warm up by the fire and enjoy the ambiance. Free sleigh rides, hot chocolate, homemade cookies, games, Santa, and more! Ring in the holiday season with a festive holiday sleigh ride around Old Strathcona! Donations accepted for Mustard Seed! If you are looking for a fun activity to do with the family, we’ve got a great workshop for kids that will teach them about building. Kids can learn how to build their very own sled with reindeer. You must register for this event. Enjoy beautiful lights, food, music, entertainment, craft, horse-drawn wagon ride and more. See the beautifully decorated holiday train, enjoy live music from Terri Clark, Sierra Noble, and Kelly Prescott, hot chocolate and more. Know of other free family holiday events that aren’t on the list? Comment below to have them added! Christmas at Bobs – one of the most lit of houses in Edmonton! Just google “Christmas at bobs” and you will get his address! They let you walk through their yard, They have had interactive displays where you can change the colours of the lights. Sometimes hot chocolate is served. Just outside Edmonton, Christmas in the Country in Strathcona County! December 1…..craft sales, activites, and so much fun!! 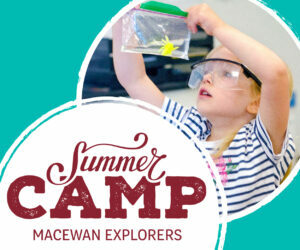 See the Strathcona County website for details.